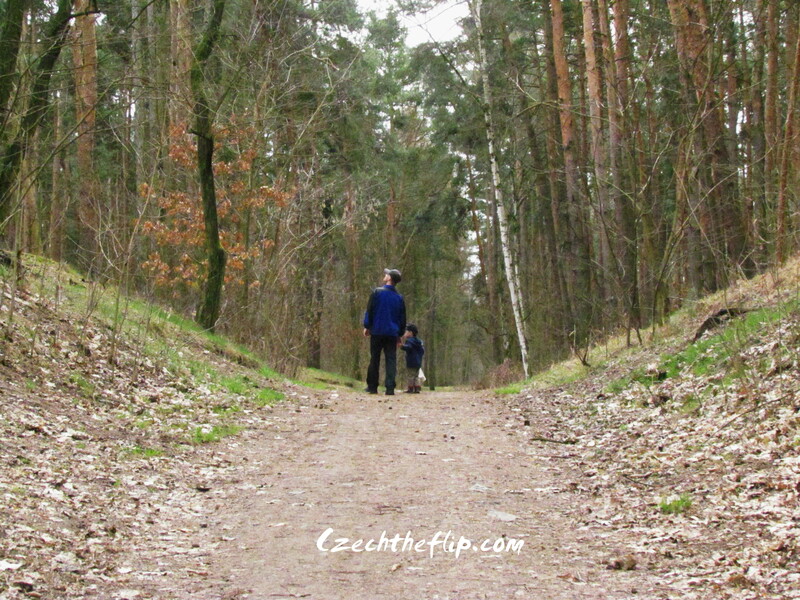 The weather has been slowly getting better in our side of the world, so I took my kids out yesterday for a walk in the woods. Why the woods? Well, you might as well say that I am slowly becoming Czech. The malls are not as appealing as the woods anymore. Anyway, here are a few pictures I was able to snap. My little boy is growing so fast, and he really enjoys his new role of being a “big” brother. 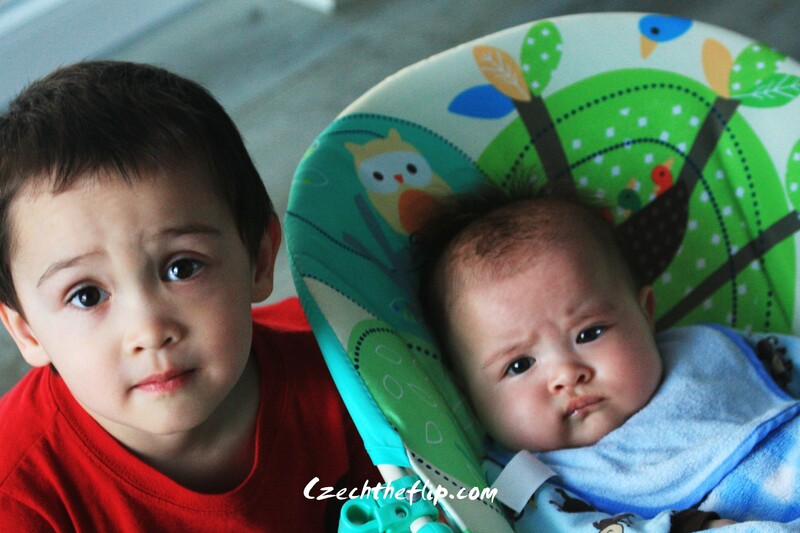 While I was busy looking for things to photograph, he took over and pushed the stroller of his baby sister. Tired of doing it the regular way, he is experimenting with other ways on how to move it. At this point, I took over for fear that he may accidentally flip the stroller with his sister inside. Instead, I asked him to lead the way. 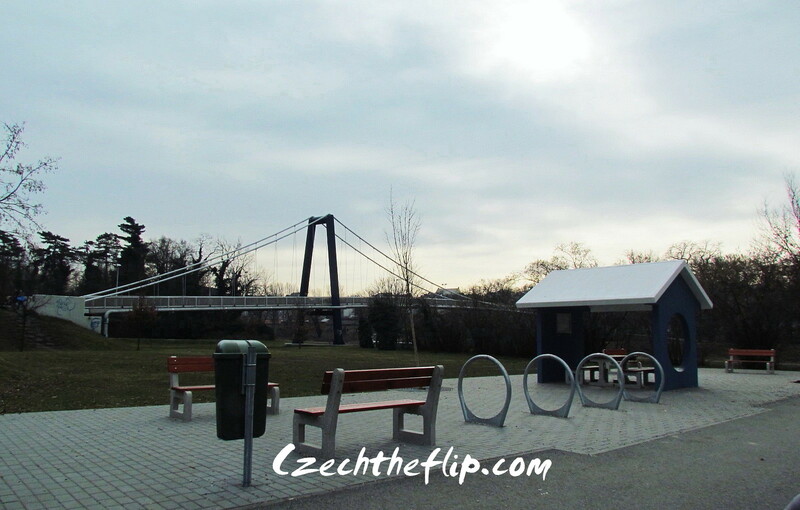 The end of the trail is the entrance to the city center through this bridge. There was nobody during that time. It is still winter, afterall. 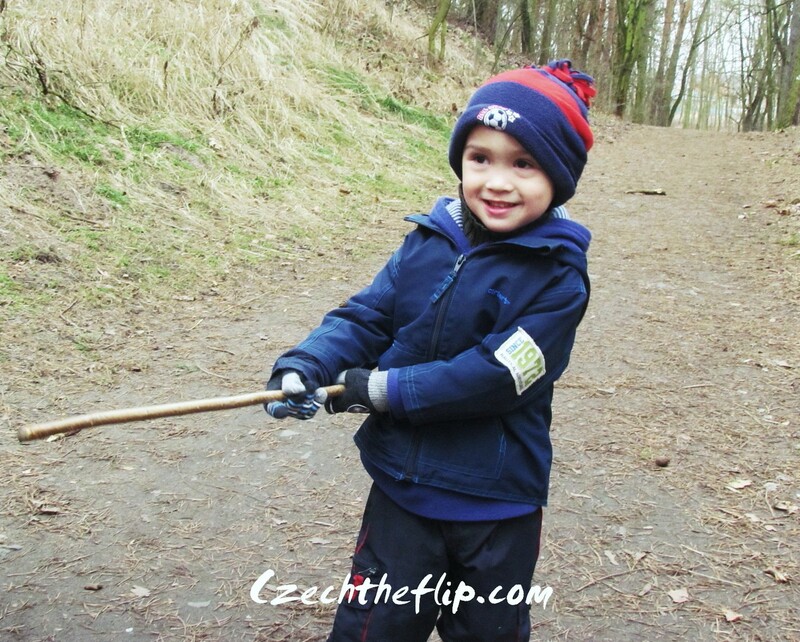 But we did see a fisherman on the river. 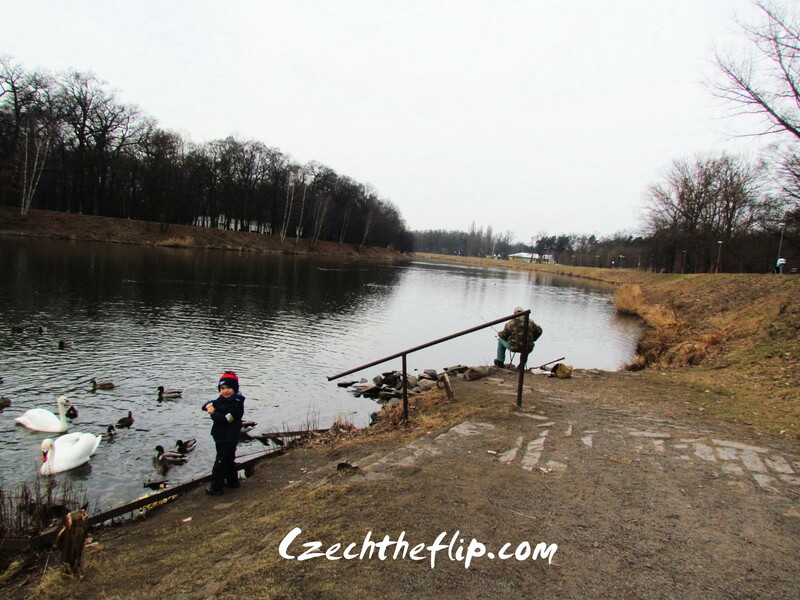 He was fishing while Jakub was feeding the ducks and swans. 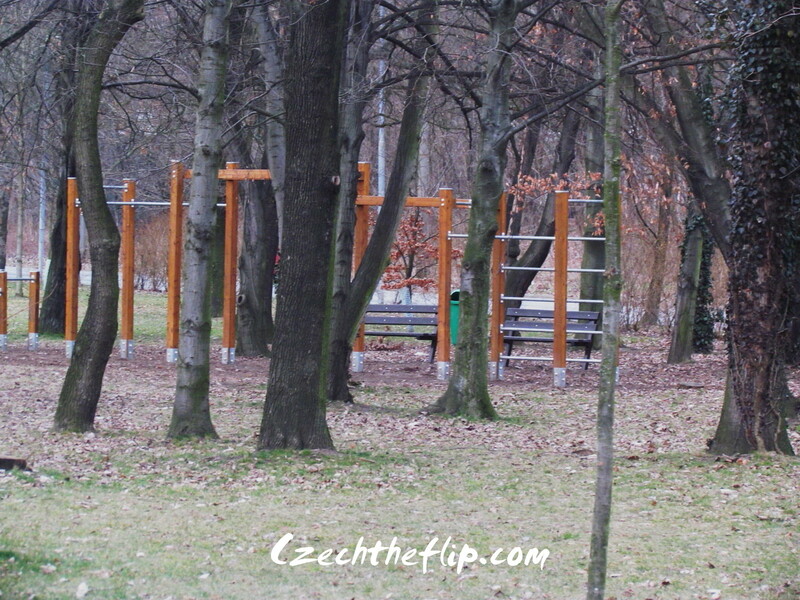 A new set of exercise bars were also built in a little space by the river. I think they finished it last year, but I didn’t see it because I was too lazy to walk towards this side of town when I was still pregnant with my daughter. When the temperatures finally go up, I think I would like to use one of these bars for fitness. 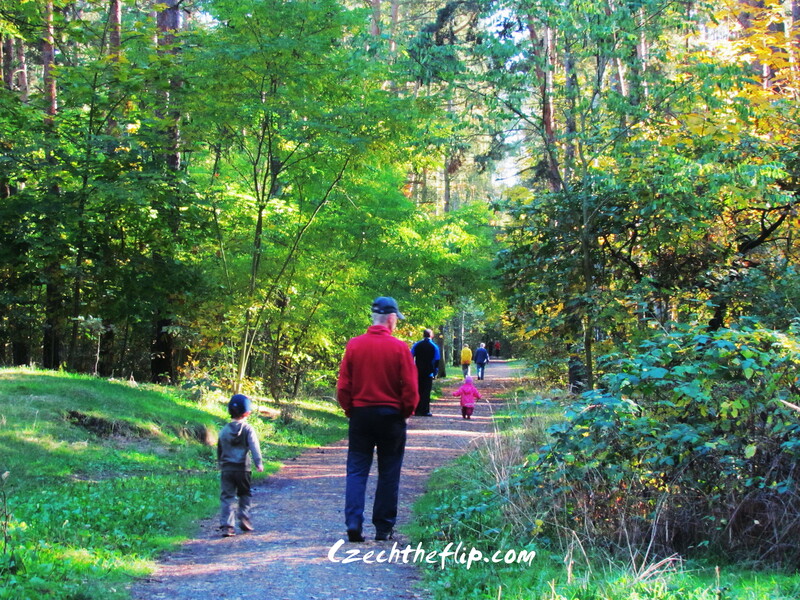 But for now, I’ll just enjoy short walks with my kids. Despite the cold, it was a very nice walk. Definitely another day well spent. 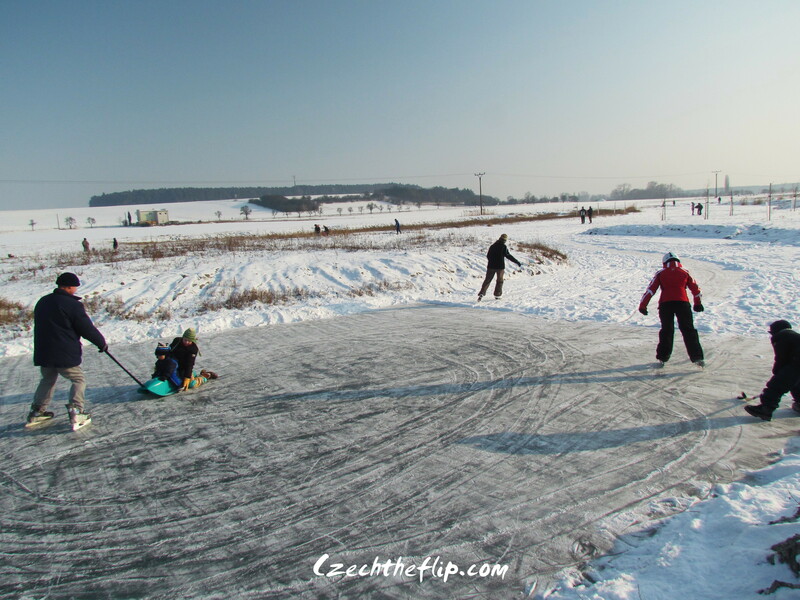 How are you coping up with winter in your side of the world? After a very long absence, I am now back from hibernation. Not a lot of exciting adventures lately, as we have been confined at home. I’ve had my own share of motherhood challenges, but everything is ok now. Things are slowly getting back to normal. My new “normal,” that is. Winter is relatively mild on this side of the globe compared to what the people in the US East Coast is now experiencing. Temperatures are sub zero during night time but has been consistently positive during the day. We’ve had a little snow but it is now slowly melting. So what’s new? Well, for one. My daughter is now 3 months old and at a stage where her schedule is more predictable. She is getting more and more curious about the world around her and somehow seems to communicate through babbling. Here is a quick photo I snapped of both my kids. I am also starting to standardize our daily routine. 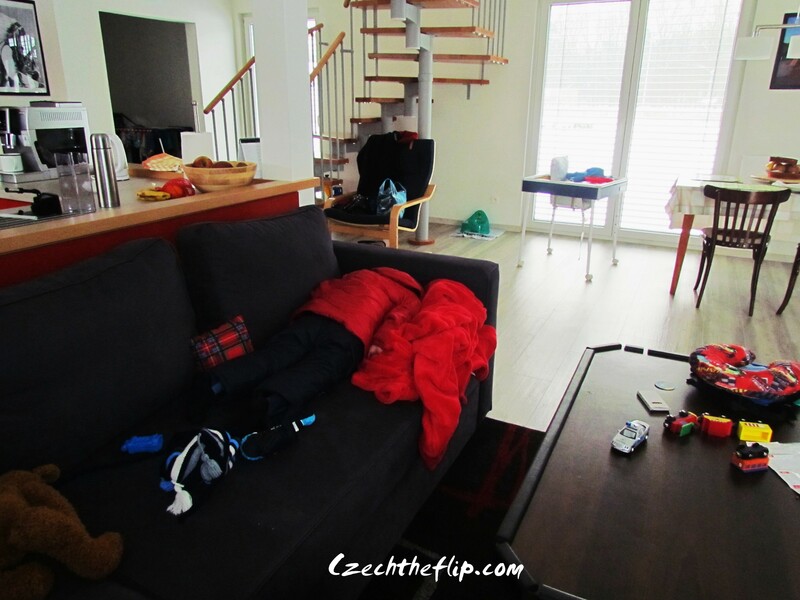 It is very difficult to manage a household with two very young children. Although I am very happy that my eldest is at a stage where he is completely independent and even helps me out. He is the one opening doors for me when all three of us are out and about for our daily walk in our neighborhood. I haven’t been in contact with the general public since winter set in. It is pretty tough. I couldn’t just go to a Starbucks shop and get a good cup of coffee these days. Well, there is no Starbucks in this town. 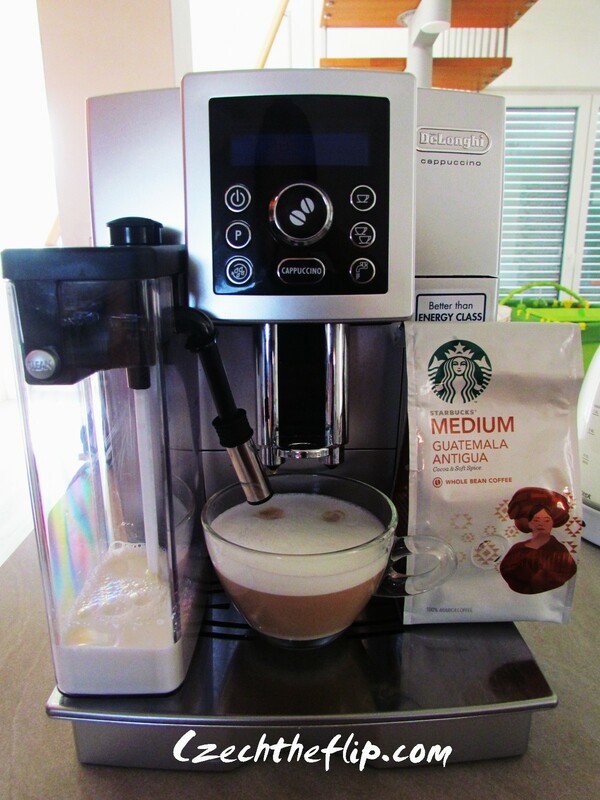 Anyhow, we managed to bring Starbucks home — coffee beans straight from the Starbucks shop in Prague. 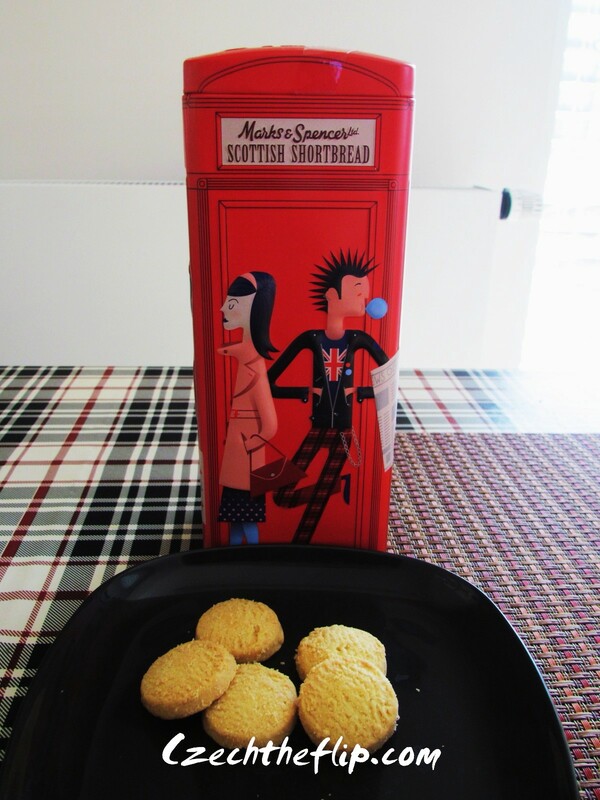 It is the perfect pair for these shortbread cookies which we got as a gift from a friend. 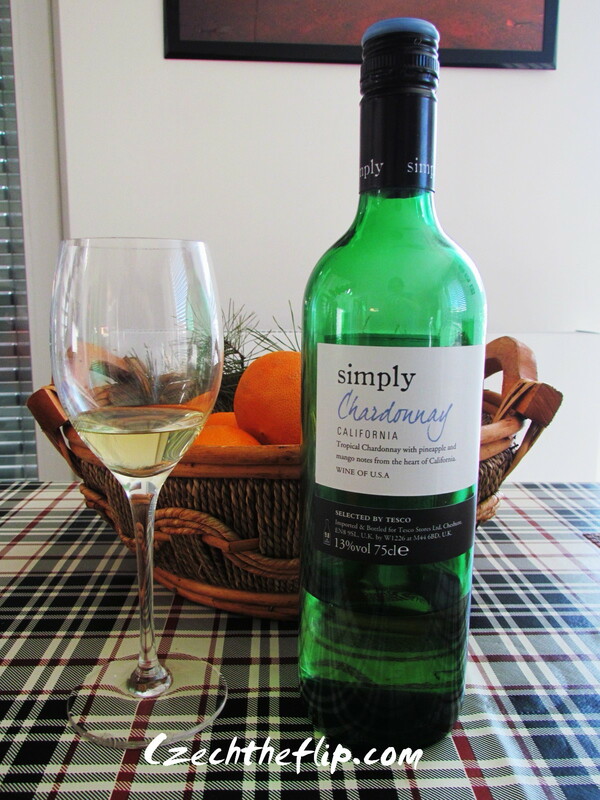 We also managed to get a taste of California through this bottle of Chardonnay from Tesco. There is nothing special about this wine, but it is the perfect pair for fish or pasta on these cold winter nights. Reminiscing our life in California gives me a warm feeling inside. If the forecast is right, it should get warmer towards the end of this month. Once it does, we will be on travelling mode again. I am anxiously awaiting the new adventures that lie ahead. 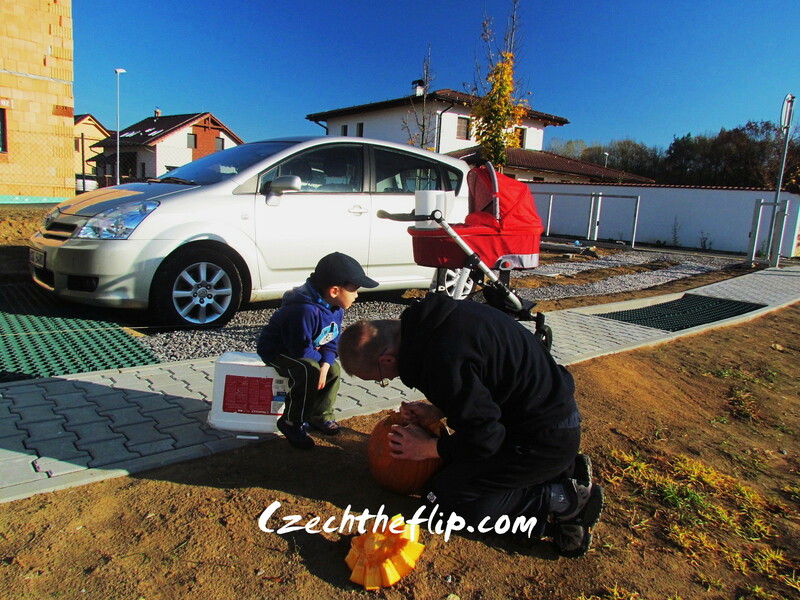 Celebrating halloween is not customary here in Czech. 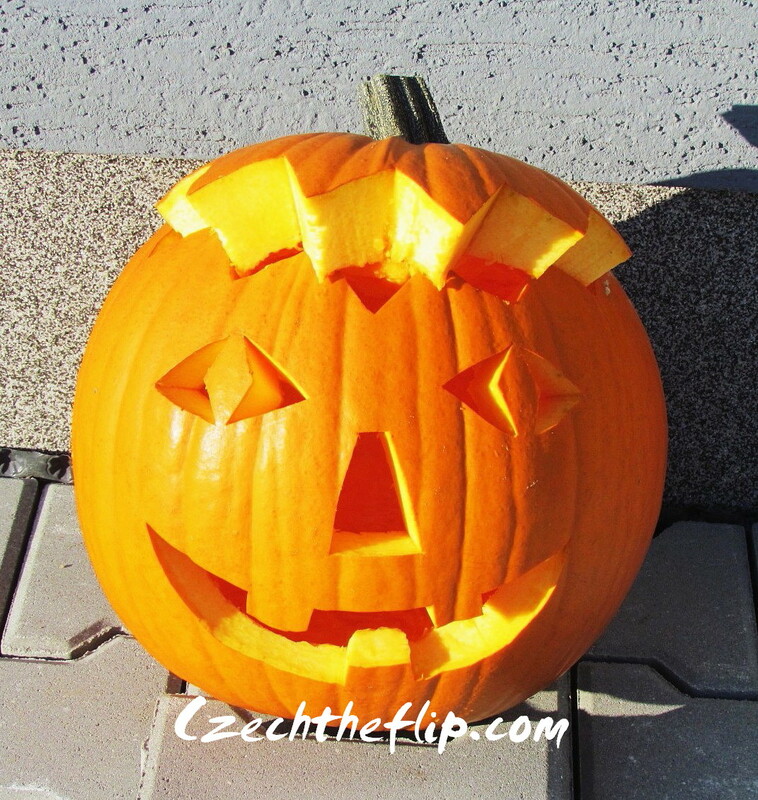 This year we decided to carve out a pumpkin in keeping up with the celebration. The weather was wonderful on halloween day. Since times like these are quite rare this season, my family and I decided to take Michaela out for a walk in our neighborhood. Afterwhich, my husband and son decided to carve a pumpkin they got from friends in our neighborhood. 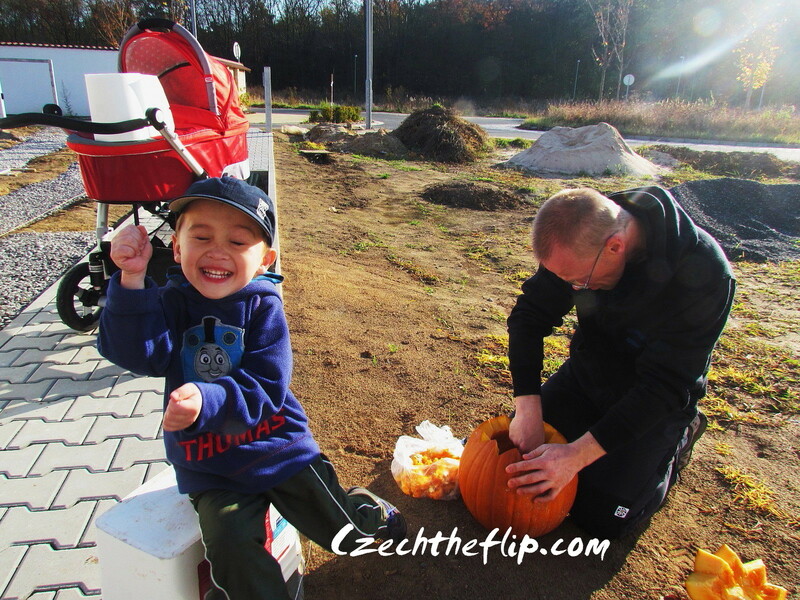 Jakub was goofing around while I was trying to capture his dad in action. The pumpkin that they carved turned out well. It was my husband’s first carved pumpkin. I thought he did a good job. Jakub had to take a posterity pose beside the finished product. 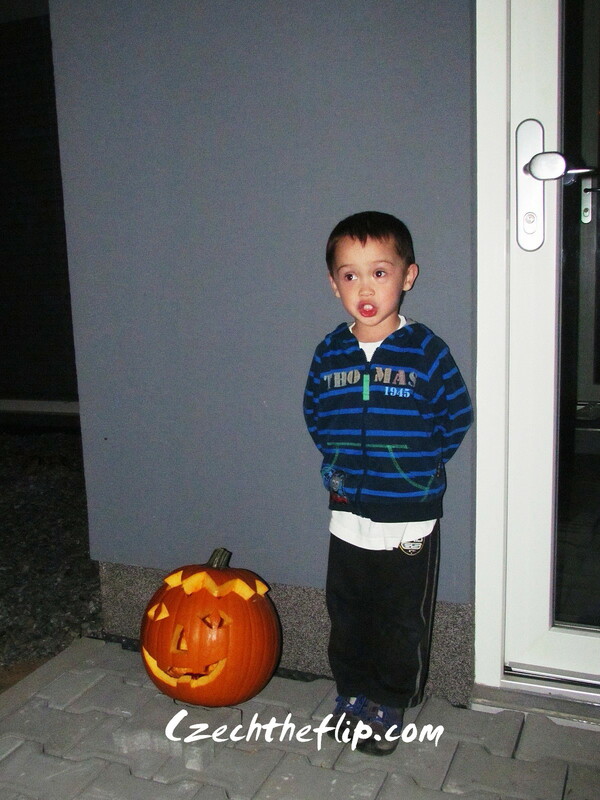 There was no trick or treat, but we still displayed the pumpkin outside. We then capped off the day with a nice dinner and some quiet time with the family. 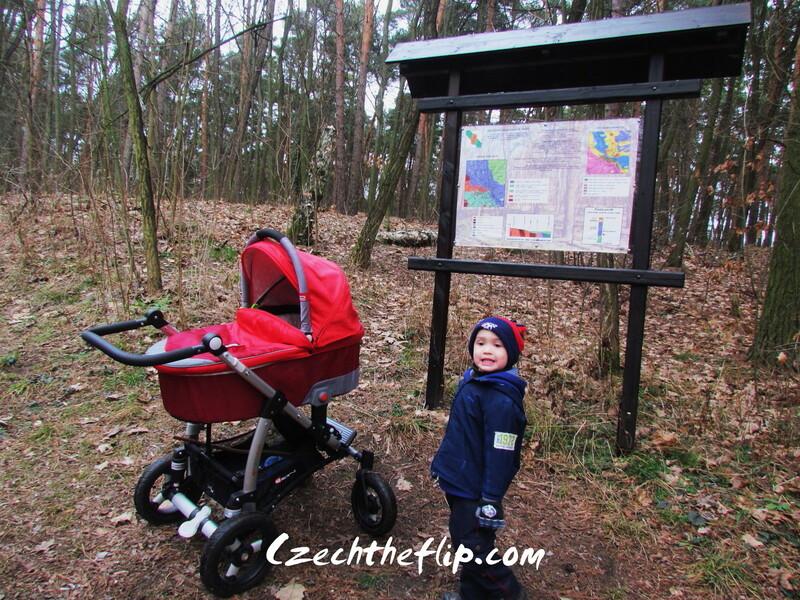 Last weekend, we took a short walk in the woods close to our neigborhood. 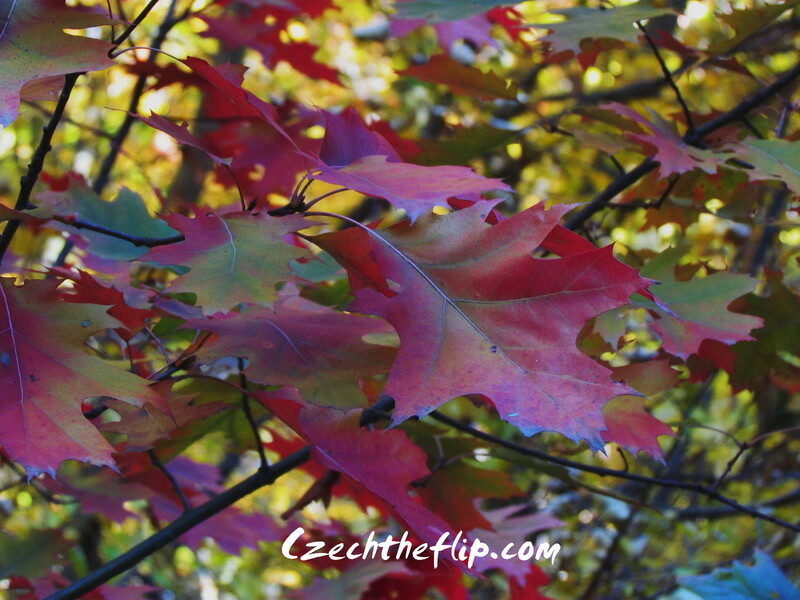 I couldn’t help but admire all the beautiful colors from the trees. Here I am sharing these photos with you. Right outside, this is what you will see as you enter the forest. I let my boys lead the way. I’m very camera shy at the moment. As you can see, we were not the only ones in the path. Several others were also there. 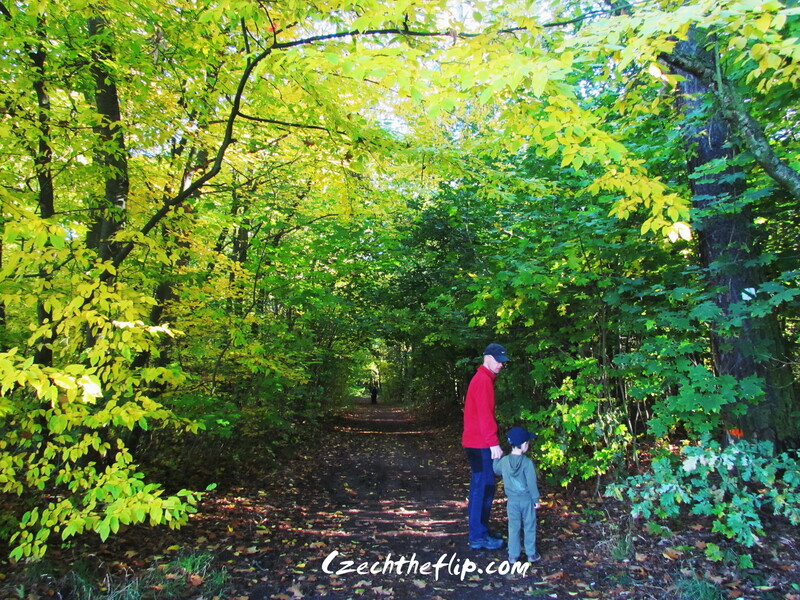 Did I mention that a walk in the woods is a favorite Czech past time? 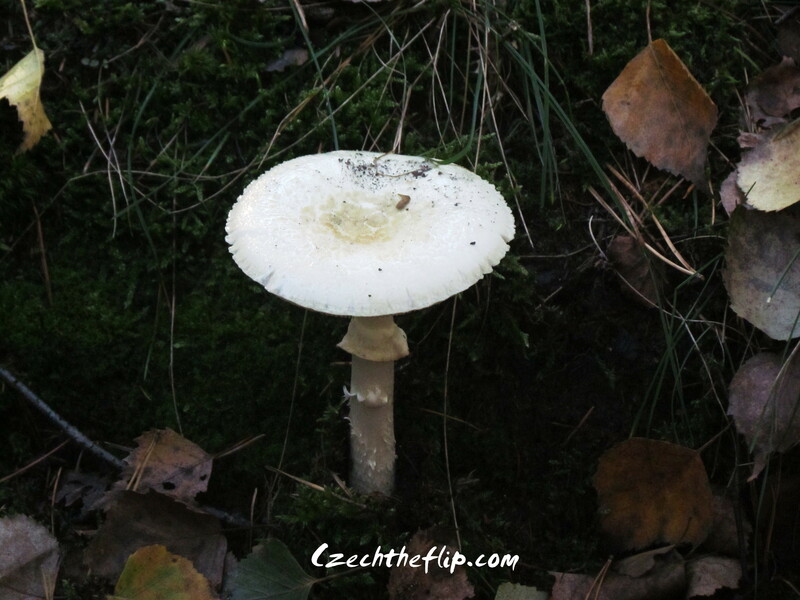 We found a mushroom. But unluckily, I was told that it is one of the poisonous kinds. We also found a feet less lizard. This is something new to me. 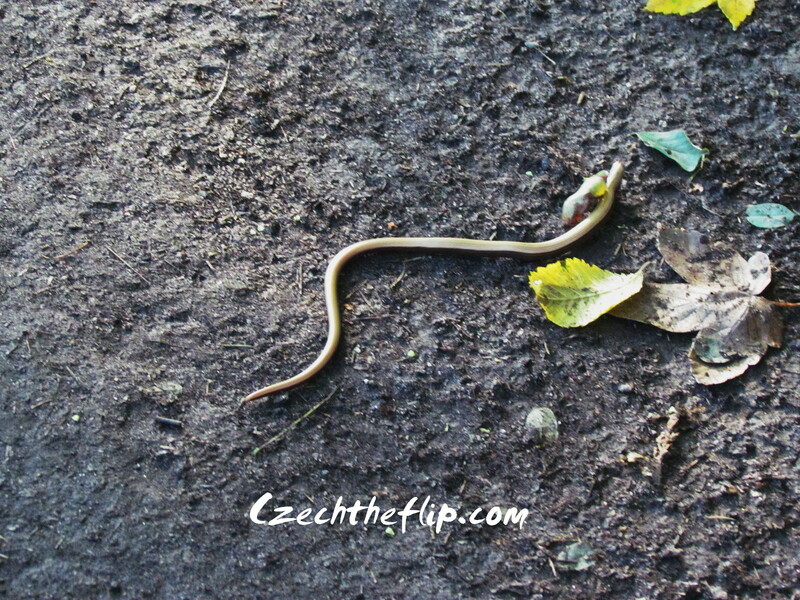 I thought it was a small snake. And finally, here’s a closeup photo of the leaves. 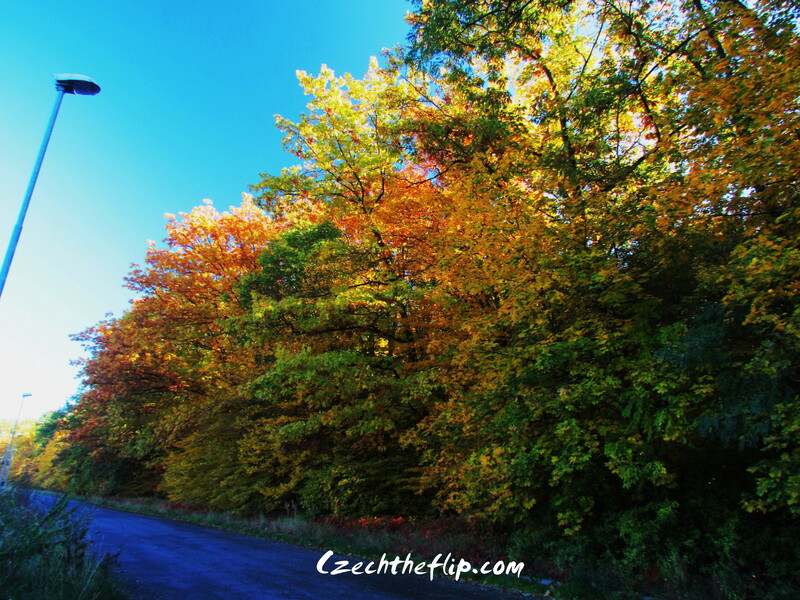 Don’t you just love the colors of fall? As my due date comes to a close, we are now preparing the important details for the arrival of our little princess. One of the most important things to consider is the birthing place. Out here in CZ, everyone is covered by a national health insurance. Although it is a good thing, one of the downsides is that there are really a few choices when it comes to healthcare. Since we are from a little town, there is only one major hospital in this area. 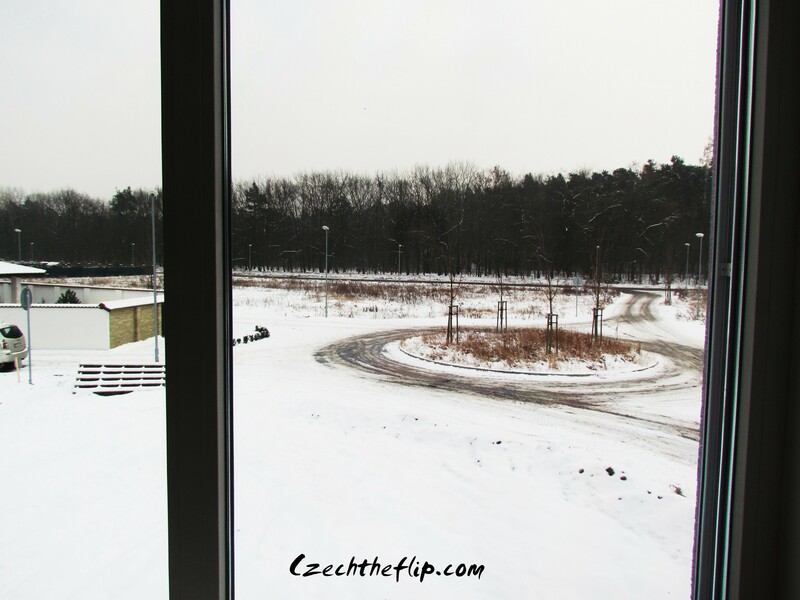 There are a couple of hospitals in Prague, but it is a 45min drive from us. So, without even considering other options, I decided to enlist at the Kolin hospital. 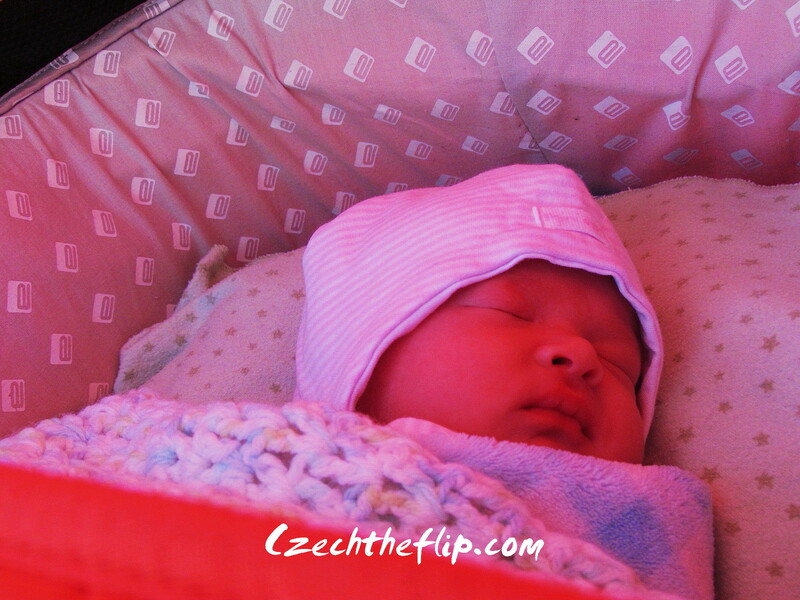 After all, the current Czech president, Milos Zeman, was born here. It can’t be that bad, right? So last week, we went on a hospital tour. The tour itself only lasted 15mins, but there was a 2 hour class before it. My husband came with me, so he translated some important parts of the class. And then we got this…. A box full of goodies for expectant mothers. It is not as great as the Finnish baby boxes, but at least it is something. The class was in Czech and so was the tour. Even though I didn’t fully understand everything, I was thankful that we enlisted for it. It just eliminates the hassle of trying to find places and people on labor day itself. 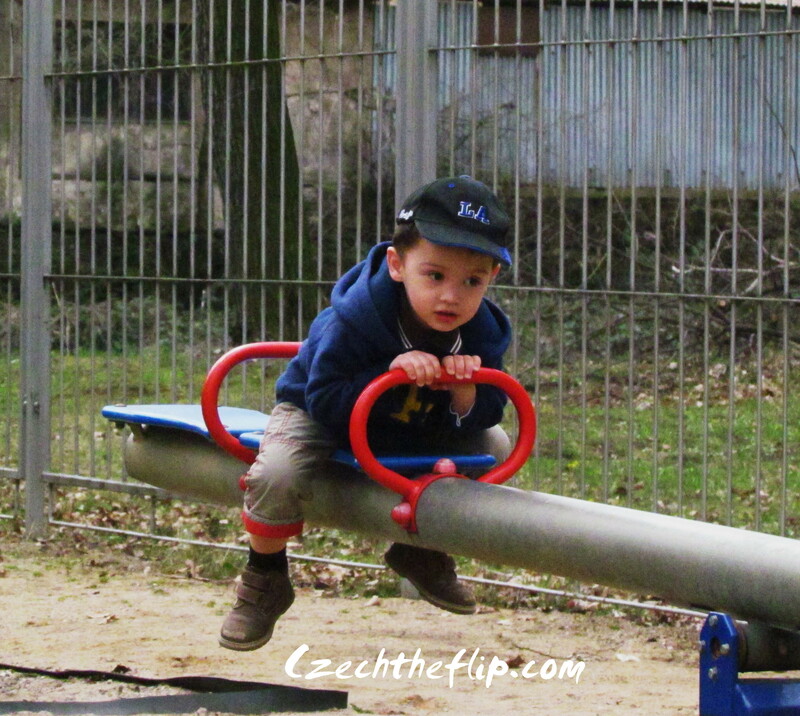 When I was pregnant with Jakub, I remember attending all sorts of classes. I was a first-time mother back then and didn’t know anything. I had a pregnancy yoga class, a lamaze class, a general childbirth class and a detailed hospital tour. When labor day came, I had prepared for everything. I even had a detailed birth plan where I wanted everything to be natural – with no epidural, and the anticipation of breastfeeding my baby right after he is born. But on the day itself, none of it went as planned. Needless to say, I had an emergency c-section, was unable to breastfeed my baby on the first few hours of his life and he had to stay at the Neonatal Intensive Care Unit (NICU) for a few days. After the seemingly endless winter weather that we’ve had over here, I was elated this past weekend as spring finally came. 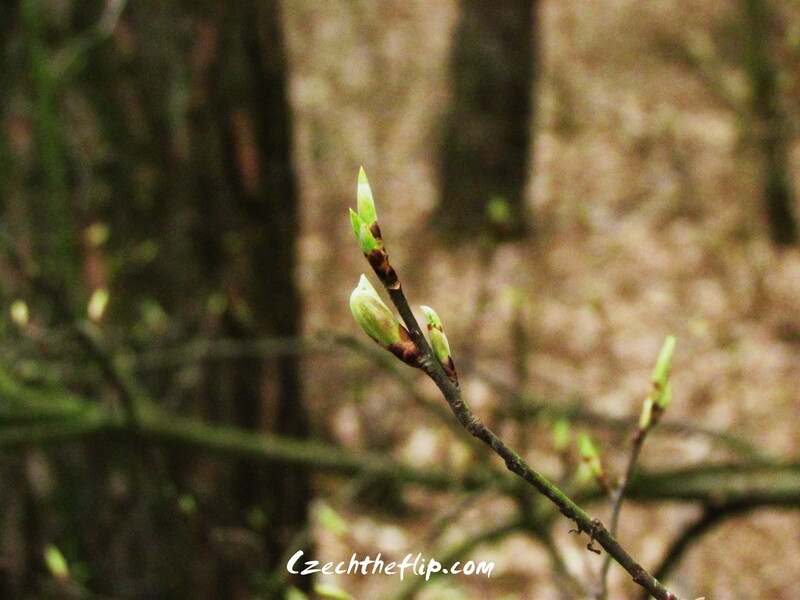 We took a walk to town through the woods and were having a grand time just looking at these leaf buds. The birds were also singing and the air smelled so fresh. 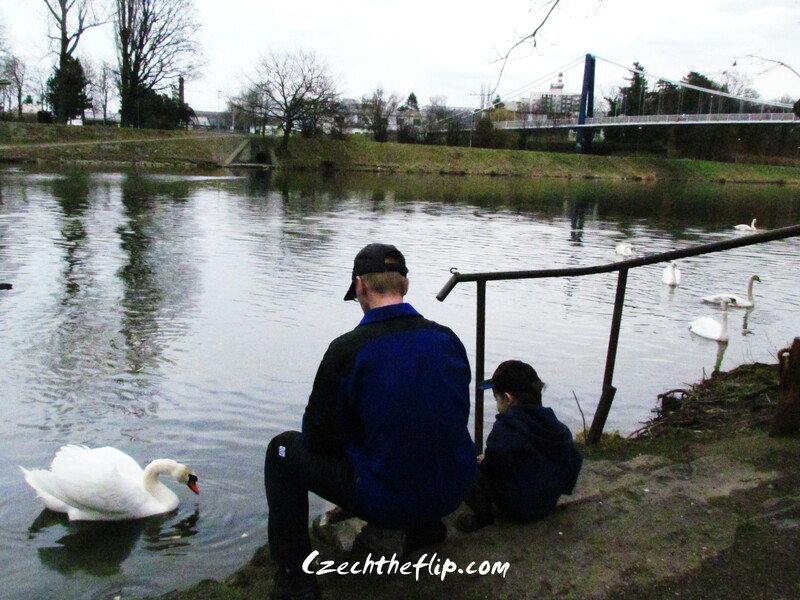 We then went to feed the ducks and the swans. And of course the trip wouldn’t be complete without a quick stop at the playground. Right now, a lot of visits and weekend trips are already planned. On top of that, we will have to put in a lot of work with our house landscaping too. 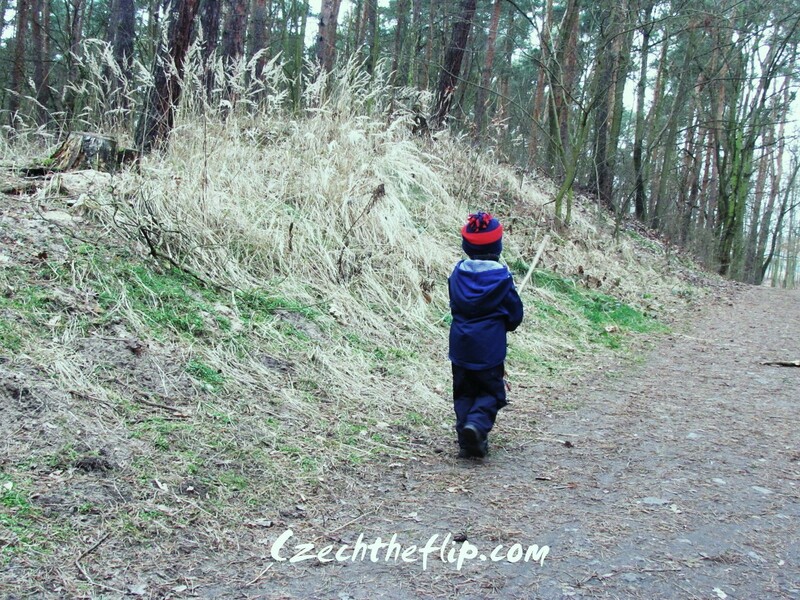 With too many activities planned and with relatively short time, I am now beginning to understand why Czechs really love the outdoors. My son is now sick. I think it’s my fault. I must’ve overindulged him in too much snow. I did get what I wished for. We had a good amount of snow these past few days. After seeing this much snow from my son’s bedroom window, it was only natural for him to want to go outside and play. So last Friday, I took him out for a long walk in the woods. It was -4C that day, but the cold did not seem to bother us. We were having fun! We crossed the woods to get to the other part of town. 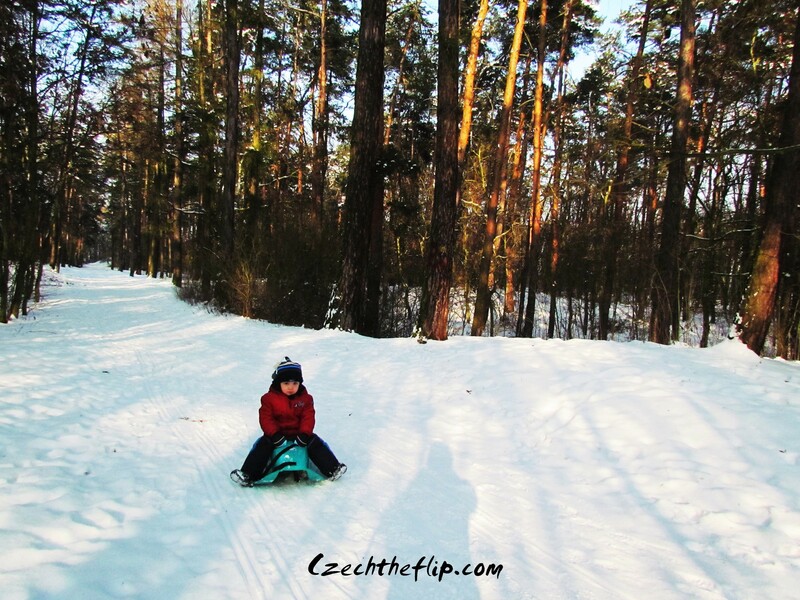 Everytime we find a little inclined space, we take advantage in sliding downhill on his sled. By the time we got home, he was literally spent. He didn’t even wait to get to his room. He just crashed on the sofa. This past weekend, we went skating with some friends. Because he is still too young to skate, we placed my son on a sled so he can still enjoy the ice with us. It was very cool. Unfortunately, that didn’t do him well. He got cold. And because he was also tired, getting sick was inevitable. Now I am nursing him back to health. Hopefully, we can cut the “down time” so we can enjoy the snow all over again.